Pain Relief Foundation provide grants to fund research on the mechanism and/or relief of human chronic pain. 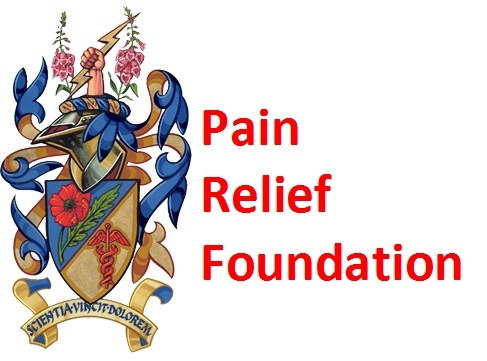 Pain Relief Foundation is pleased to announce small grants which may be in respect of projects and salaries, but will exclude equipment etc. Grants previously awarded have varied ranging up to £30,000 each. Applications will be particularly welcomed from people in the early stages of their research careers. The grants may be held in the Pain Relief Foundation’s Pain Research Institute in Liverpool, or at other approved centres. For full details see all grants below. for this prestigious Studentship for human chronic pain research. The grant award will be tenable for three years and will carry a tax-free stipend and tuition fees totaling £16,700 in each year. In addition, there will be a small budget available to cover consumables, excluding equipment ,which must be fully detailed, costed and approved before commencing. Applications should include the Supervisor’s C.V. and complete details of the proposed project. The application should name two academic referees who will be prepared to support the project and the application. These reference will be taken up in the first instance. Applications can be submitted electronically, but a hard copy must be forwarded also.